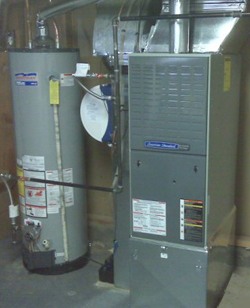 JG Mechanical is your Heater Service Denver Specialists. Emergency Heater Service for your home or business offered by JG Mechanical. JG Mechanical provides high quality heater service in Denver and throughout the Denver Metro area. We are a Colorado family owned and operated, heating & cooling company specializing in repair services for all of your heater service requirements. Our experience makes us one of the most trusted heater service companies in Denver, Highlands Ranch, Littleton, Centennial, Englewood and surrounding metro areas. You can trust JG Mechanical quickly find the problem with your heater system and recommend the options you need to make an intelliget decision. JG Mechanical will provide you a quick response to your call and look forward to hearing from you! We are a clean, courteous and reliable heater service company in Denver, Highlands Ranch, Littleton, Centennial, Englewood and surrounding metro areas, that will fix your problem FAST. Whether you are in Denver, Highlands Ranch, Littleton, Centennial, Englewood or other metro area we are here to serve your heater service needs. If you are needing to install, repair, replace or need a free estimate on your air conditioner, air cleaner, humidifier or thermostat please contact JG Mechanical Today! 303-901-3751 Tell Troy you found his number on the "Heater Service Denver" page of JG Mechanical's Website!